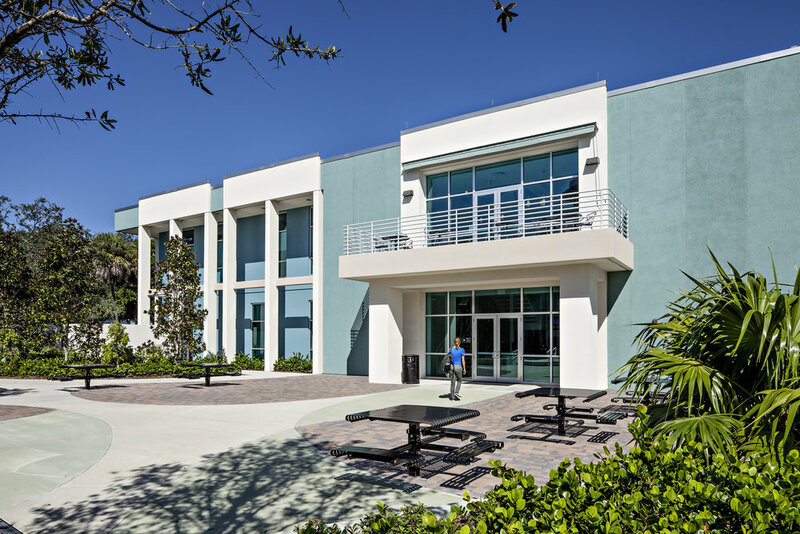 FAU LINK Building Renovation — Song + Associates, Inc.
Song + Associates was commissioned to convert 46,000 GSF of the LINK Building from laboratories into administrative offices and a cutting edge research library. 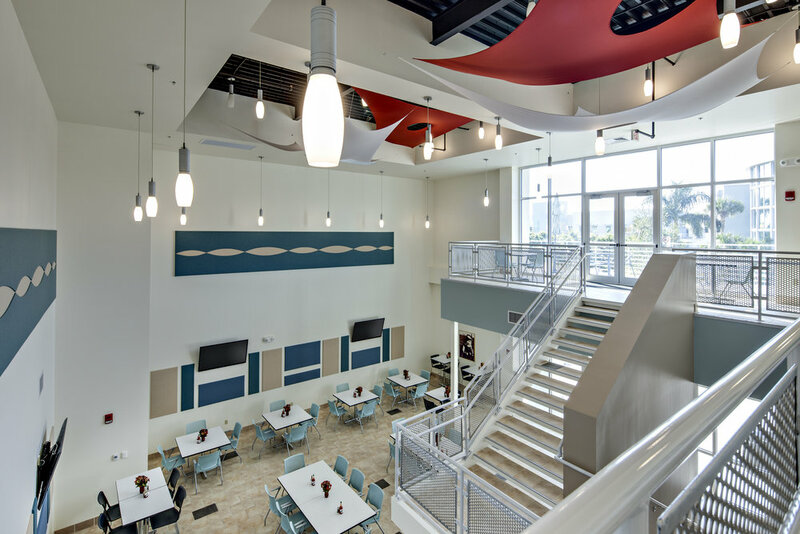 The project also included renovations and upgrades to the engineering research department, information resource management department, the submarine bay maintenance shop, the large vessel high-bay repair shop and a new two story cafeteria expansion with an outdoor balcony. The building is located at the entrance to the HBOI campus which provided an opportunity to transform the building into a welcome center and will showcase HBOI’s sea-going heritage.